With its luscious sandy beaches, crystal clear waters and relaxed way of life, it’s no surprise that Jamaica has proved to be such a popular tourist destination over the years. It seems the Caribbean island is becoming increasingly popular with cruisers, with the tourist board confirming a sizeable increase of cruise arrivals to the hotspot. The development comes after figures relating to January-August 2012 were released, showing an overwhelming 937,343 arrivals. When this is compared to the 700,137 during same period last year, it shows a massive increase of 33.9%, fantastic news for the country’s tourism scene. 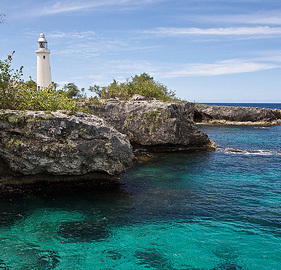 Boasting incredible natural sights such as Dolphin Cove, Dunn River Falls and Montego Bay, it comes as no surprise that Jamaica has continued to prove such a popular tourist destination. If you are keen for a completely unique holiday experience this year, why not head to Jamaica as part of the many singles holidays available and find out what all the fuss is about?